Earlier this year, Maruti Suzuki ushered in the AMT revolution in India, by launching the Celerio equipped with an automated manual transmission. Belying Maruti Suzuki’s own – rather subdued – expectations of the AMT equipped Celerio becoming a sales spinner, the AMT variants of the car have become runaway successes. 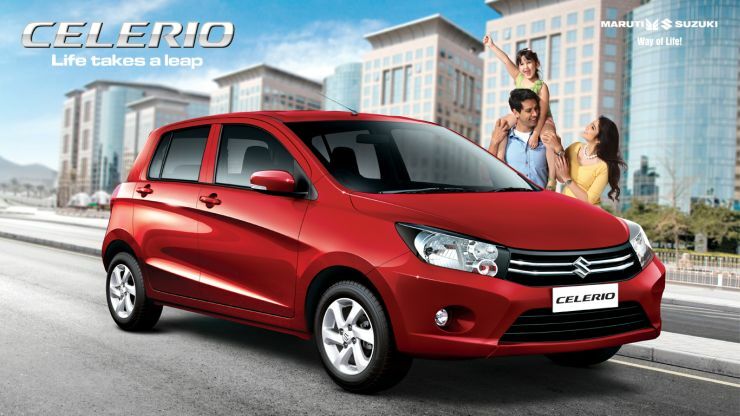 In the process, waiting periods of the Celerio AMT variants have hit the 4 month mark. To make the car more easily available to prospective buyers, Maruti Suzuki has cranked up the production of the Celerio AMT. What makes the Celerio AMT tick? CarToq does some explaining through this video. Maruti Suzuki now produces 6,500 units of the Celerio AMT from its Manesar factory, a straight increase of more than a third, from the 4,500 units/month production that the automaker stuck to before the production boost. The added production is expected to bring down waiting periods to about 2-3 months. Maruti Suzuki has received 57,800 bookings for the Celerio, of which 25,000 bookings are for the AMT equipped variants. While the automaker has delivered 22,000 units of Celerio variants with the 5 speed manual, only 7,000 units of the Celerio AMT have found homes in India. The major reason underlying Maruti Suzuki’s inability to deliver more Celerio AMTs to Indian customers has to do with the supply crunch the automaker is facing with regard to the automated manual transmission. A fully imported component, the AMT unit is supplied by Italian autoparts maker, Magneti Marelli, which has been unable to scale up AMT production to meet the stiff demand generated by the Celerio in India. Magneti Marelli will begin production of the AMT unit locally, at Manesar, before the end of next year. Local production is expected to lower production headwinds for the Celerio AMT as well as for the other AMT equipped cars Maruti Suzuki plans to launch next year. The Alto K10 and the WagonR are two popular Maruti Suzuki hatchbacks that will jump onto the AMT bandwagon next year. In the next few days, Tata Motors will debut India’s second AMT equipped car and the first AMT diesel car in the form of the Zest Diesel compact sedan. Mahindra & Mahindra is lining up the Quanto AMT for a launch during the festive season.